eBay deal: Save 10% on Apple HomePod, Bose headphones and more | What Hi-Fi? But you'll have to be quick - the discount is only available until 8pm today. eBay is celebrating Friday not with fizz but by offering a site-wide 10 per cent discount until 8pm. Bose QuietComfort 35 II wireless noise-cancelling headphones: was £250, now £225. View the Bose QuietComfort 35 II eBay deal here. AKG N60NC Wireless noise-cancelling wireless headphones: was £200, now £180. See the AKG N60NC Wireless eBay deal here. Apple HomePod smart speaker: was £299, now £269. View the Apple HomePod eBay deal here. Marantz PM6006 stereo amplifier (pictured): was £349, now £314. 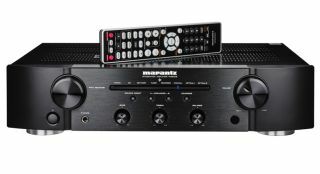 Get the Marantz PM6006 eBay deal here. Ultimate Ears Roll 2 wireless speaker: was £65, now £58.50. See the Ultimate Ears Roll 2 ebay deal here. To receive the discount, shoppers have to enter the code ‘PICKANY’ at checkout. The code can be redeemed twice per shopper. Naturally, there are some Ts and Cs (which you can read here), including a minimum spend of £20 and a maximum discount of £50.